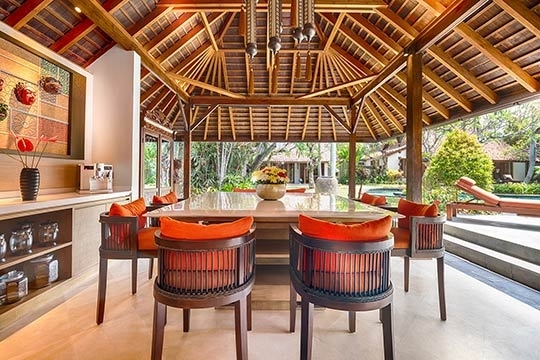 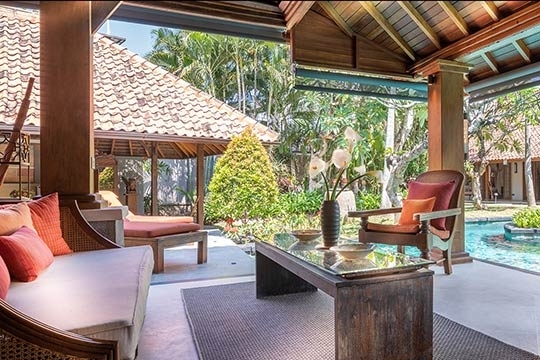 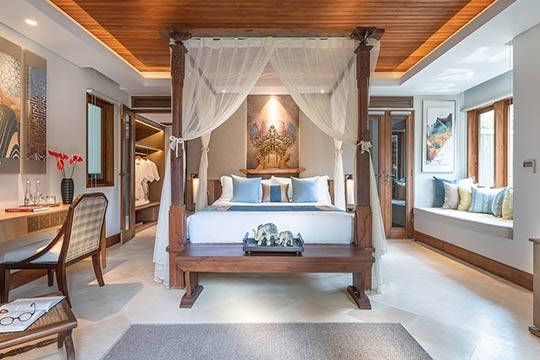 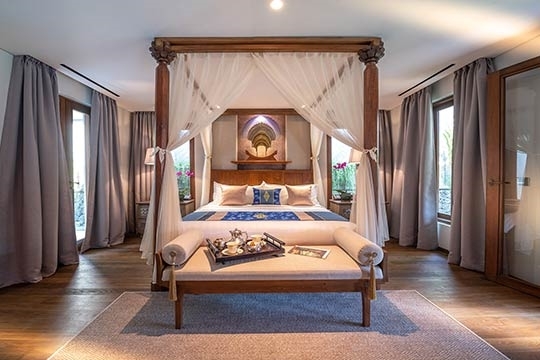 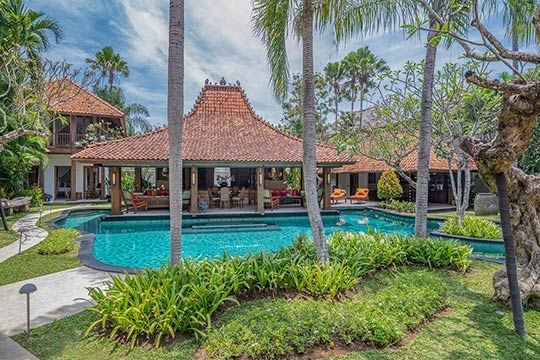 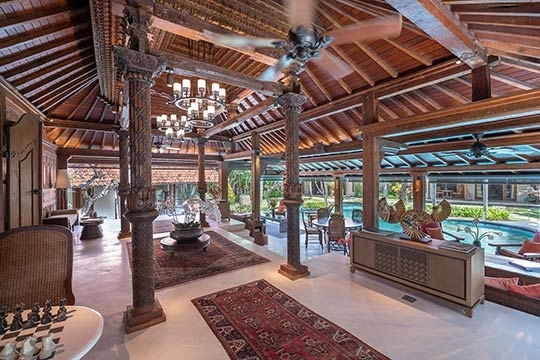 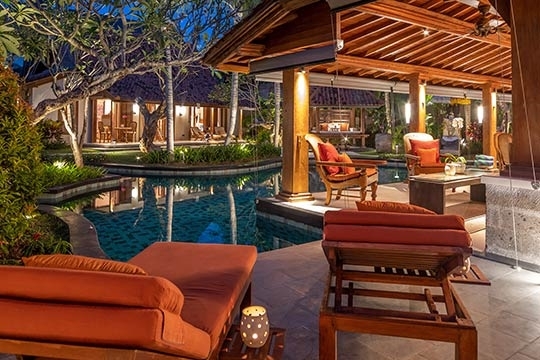 The splendid, 4-bedroom fully staffed Villa Des Indes I, complete with joglo living pavilion and lagoon-style swimming pool, rests on over 1500sqm of land, within the luxurious Laksmana private estate, just steps away from Seminyak Beach. 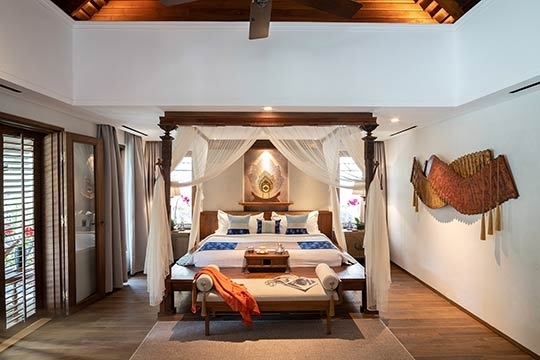 The architecture follows a colonial theme complemented by an exceptional collection of antiques and objets trouvés. 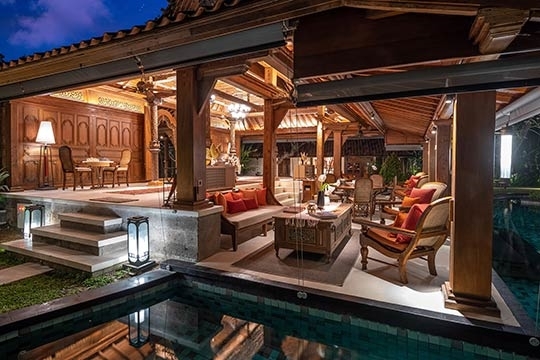 Browse any number of Bali accommodation websites and you will find frequent reference to the traditional, antique timber houses of Java, known as Joglo, which have become the inspiration and foundation for many architect or owner in the creation of a new villa. 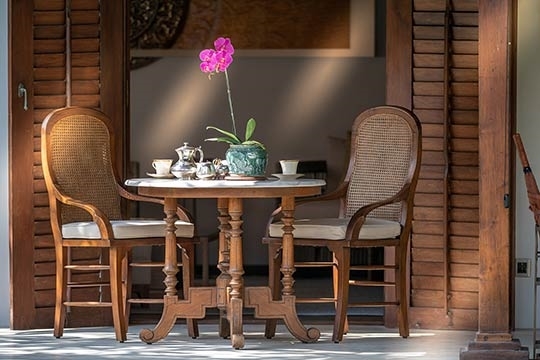 A stay at Villa Des Indes I presents the opportunity to get up-close and personal with what is probably the most exquisite and best-preserved joglo on the island – characterised by fluted teakwood pillars, intricately carved with trellis-shaped grooves, daisy-chains and urns overflowing with flowers. 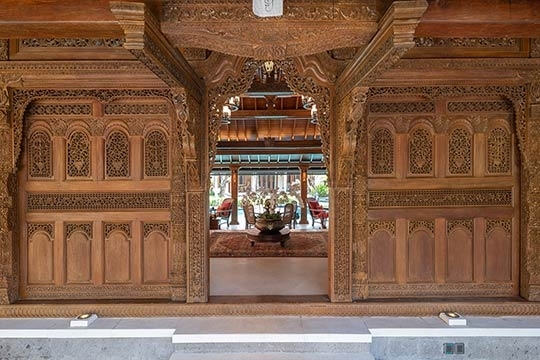 Once the home of an aristocrat, this beautiful old building was rescued from demolition and dismantled, spending 15 years in a storeroom before its new owners found the ‘right place’ to resurrect it. 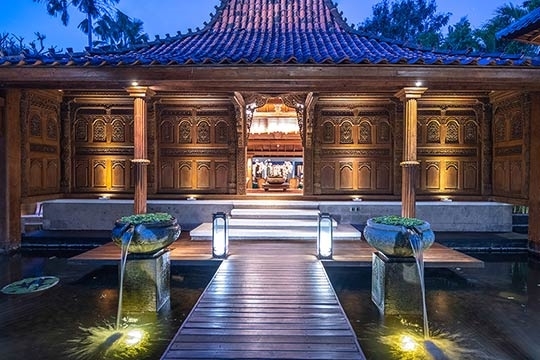 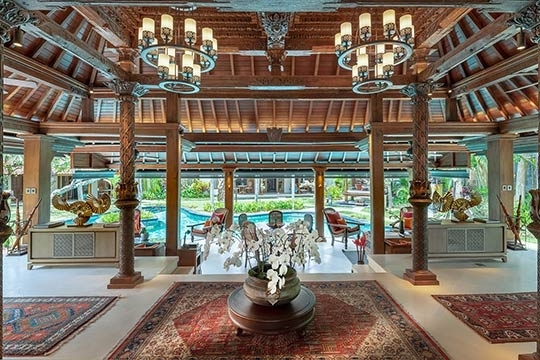 The 270-year-old Joglo now rests in a charming water-garden setting, deemed worthy of its historic noble status, to form the centrepiece – the open-sided living and dining pavilion – of this four-bedroom villa. 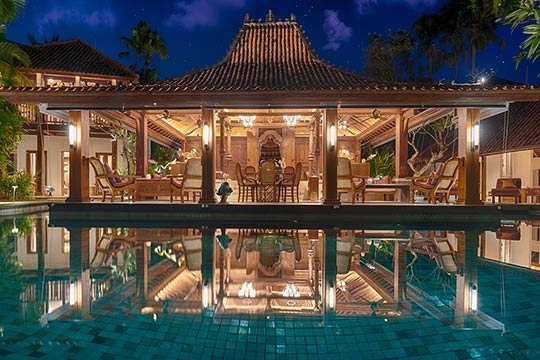 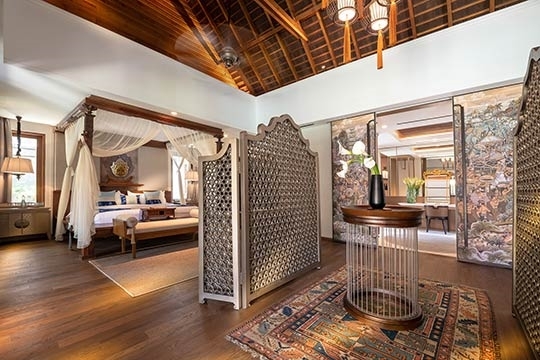 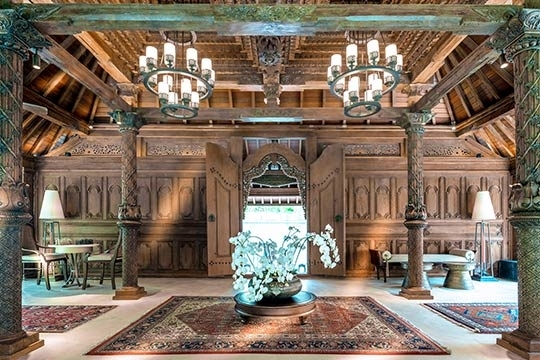 Villa Des Indes I, complete with a lagoon-style swimming pool (Villa Des Indes II), is really a showroom for the owner’s eclectic accumulation of Indonesian artefacts and curios. 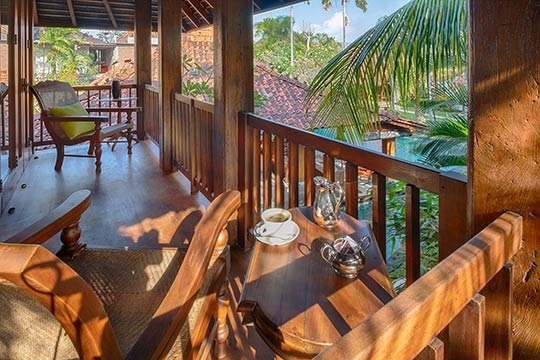 Each of the three self-contained guest bungalows, similar to the Dutch guesthouses of the Javanese hill stations, is stuffed with collectables ranging from a cherished writing desk to a fine antique silver tea set for high tea (served by one of the butlers of course); from a series of P&O travel posters to an old gramophone player. 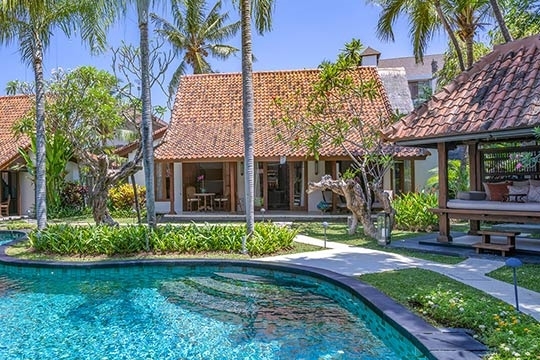 The villa is perfect for those looking for a delightful combination of nostalgia and luxury akin to the iconic hotel after which the villa is named. 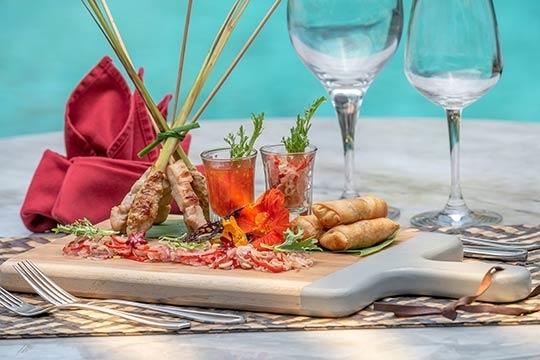 Luxury comes in the form of your own personal chef and waiting staff who will cater to your personal needs whether a simple brunch in the poolside balé (gazebo), sunset cocktails and tapas in the Joglo's pavilion bar – a signature service of the villa – or a silver service, candelabra-lit formal dinner. 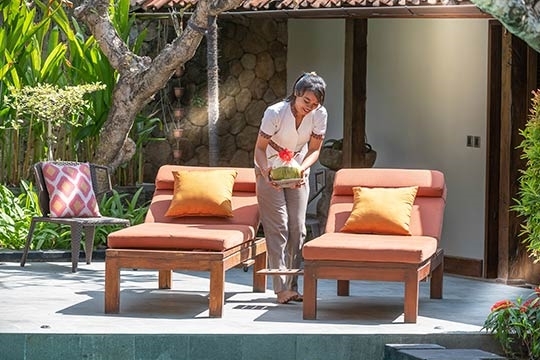 Staff will also take care of the provisioning – so civilised. 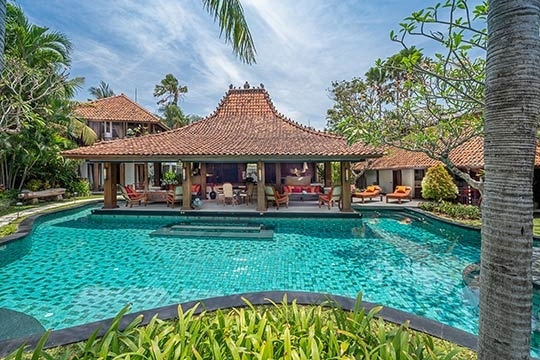 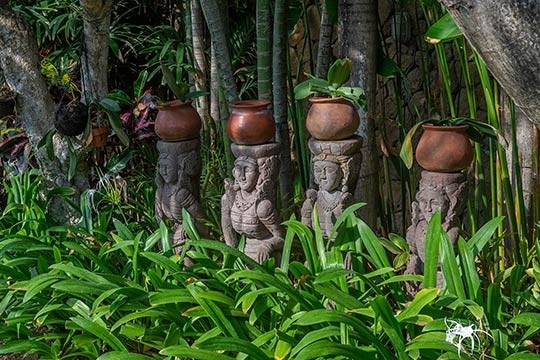 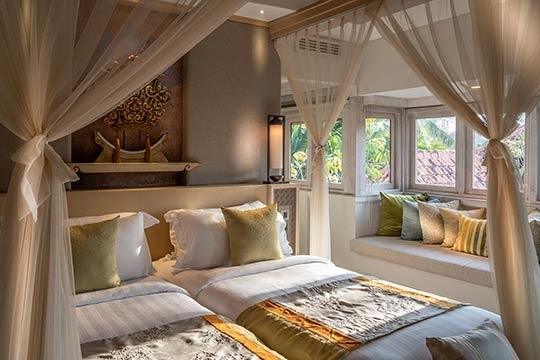 Alternatively you can leave the peace and privacy of Villa Des Indes I and experience the elegant restaurants and bars of stylish Seminyak just a few minutes stroll from the quiet cul-de-sac into which the villa is tucked. 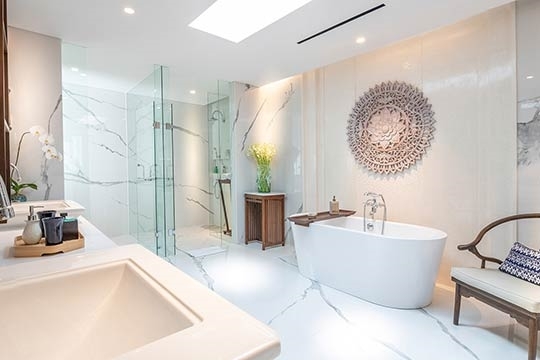 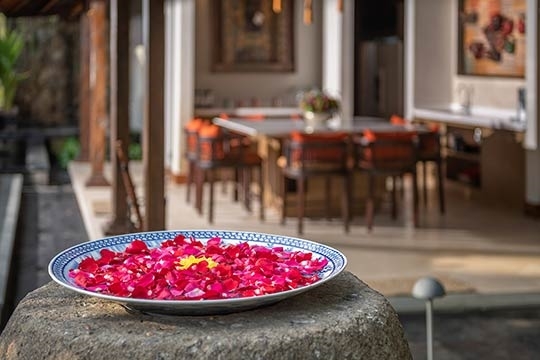 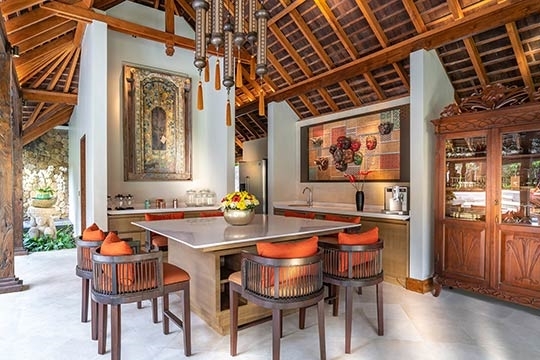 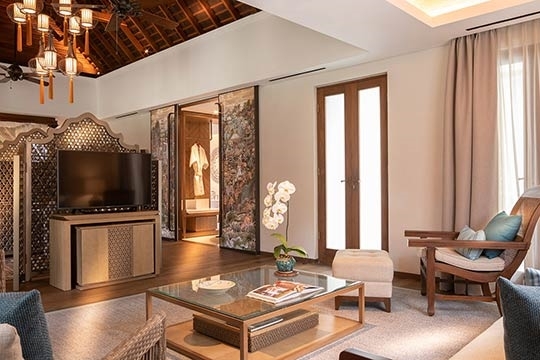 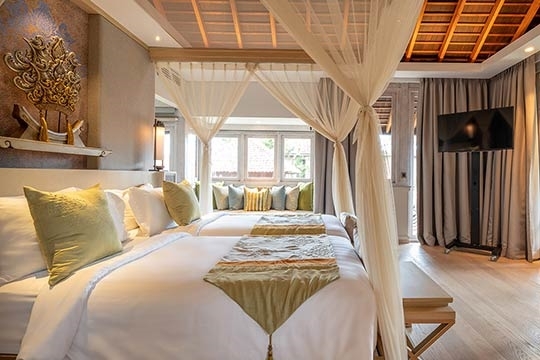 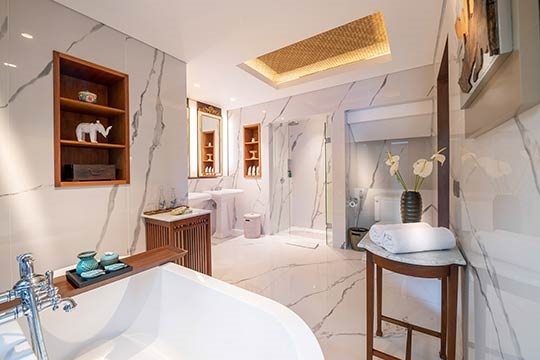 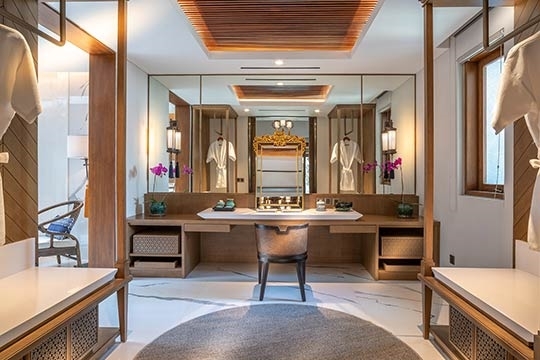 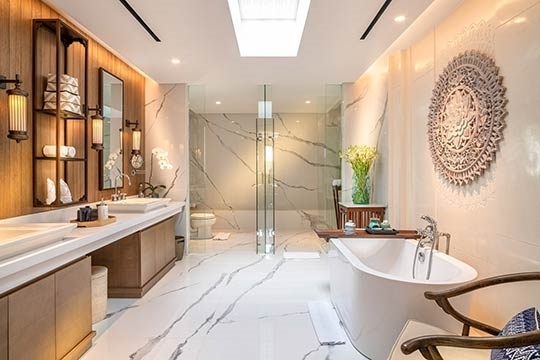 Des Indes I is nestled within the luxurious and secure Laksmana estate in Seminyak – the perfect spot for those who enjoy the beach, seek a sophisticated nightlife, and delight in dining out in classy restaurants and shopping at designer boutiques. 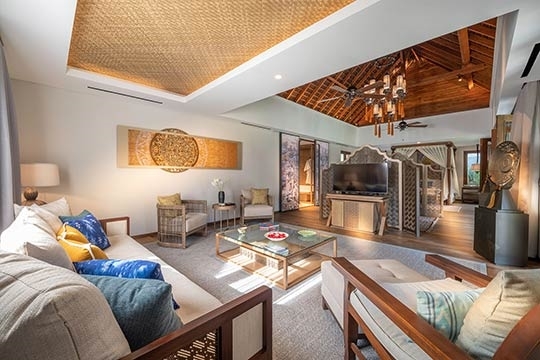 Stroll to Petitenget Beach – just a few hundred metres away – to surf, swim in lifeguard-patrolled areas, sunbathe (there are sunbeds for hire), or take long seaside walks. 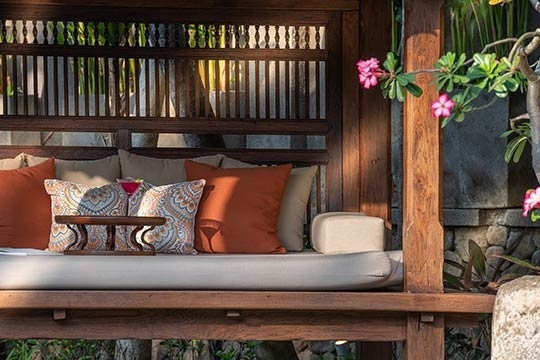 Enjoy dazzling sunsets at Ku De Ta – still the place to see and be seen; in the late afternoons the vibe is animated and upbeat with a hip clientele indulging in the sunset ritual of cocktails, Champagne and oysters, while resident DJs fuse the mood with chill-out sounds. 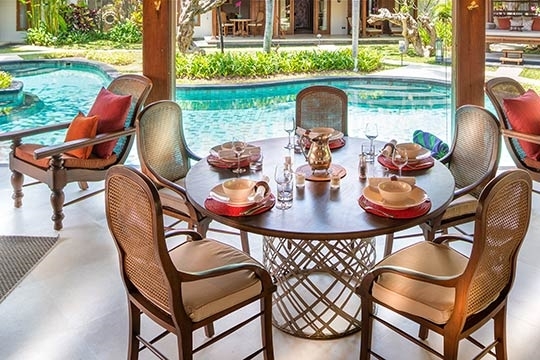 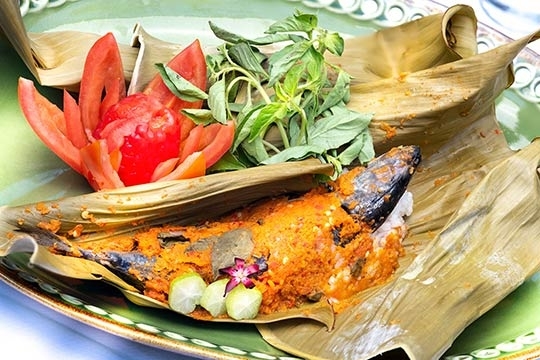 The villa is also a few minutes’ walk from other internationally acclaimed restaurants and bars, including Potato Head, the Breeze at Samaya, and La Lucciola – this reviewer’s long-time favourite for leisurely lunches and romantic dinners. 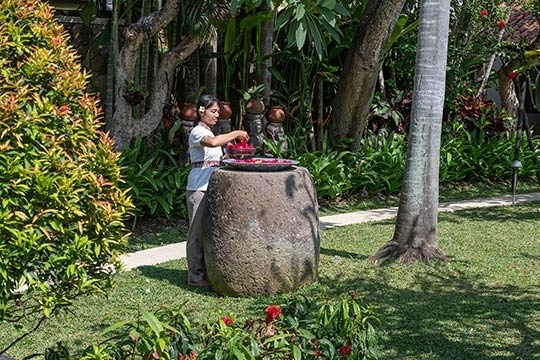 Further up the street is Sarong and Metis – with myriad restaurants and cafés on the way. 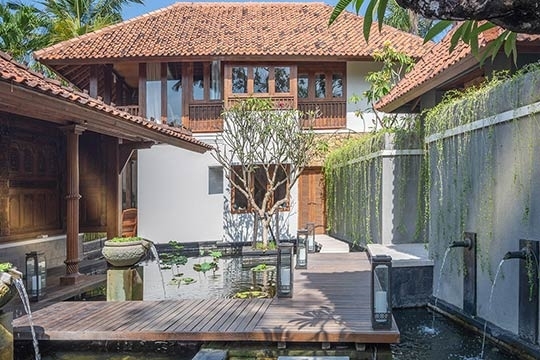 Seminyak Square and a tantalizing collection of chic designer boutiques are just around the corner. 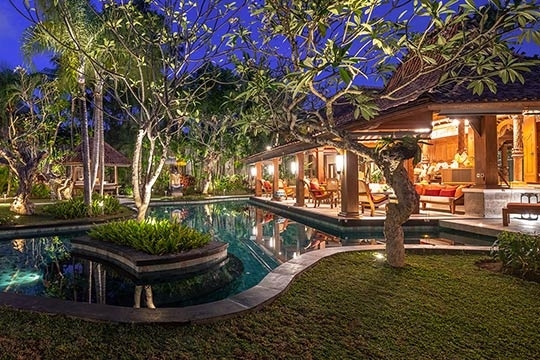 4 bedroom villa located in Seminyak, Bali. 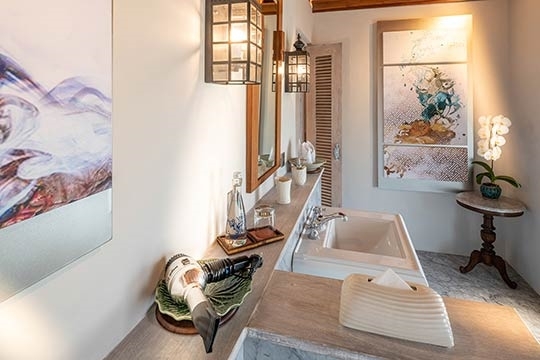 Ideal for Bring the relatives, Kid friendly, Gastronomic delights, Fair share for groups, The great outdoors, Party pads, Romantic retreats, Walk into town, Perfect for weddings.